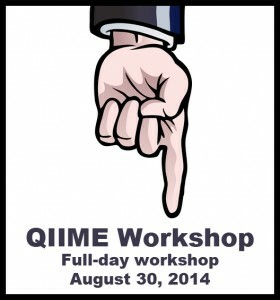 The QIIME developers are hosting a full-day workshop about QIIME on August 30th, 2014 immediately following ISME 15. Here’s a link to the registration information. Having taken one of these classes myself, I can highly recommend them.